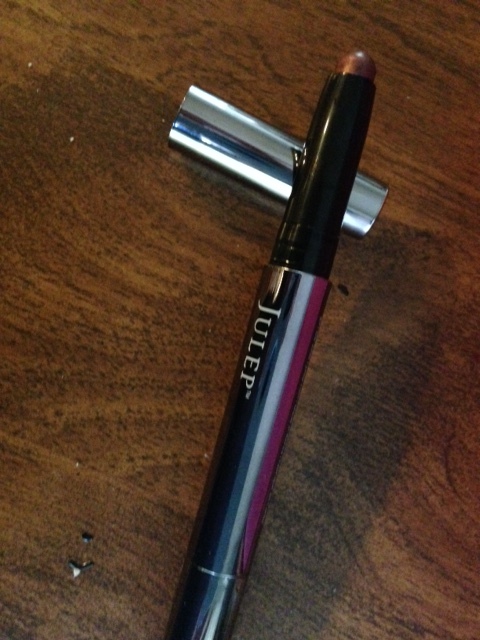 Have you tried Julep Maven yet? 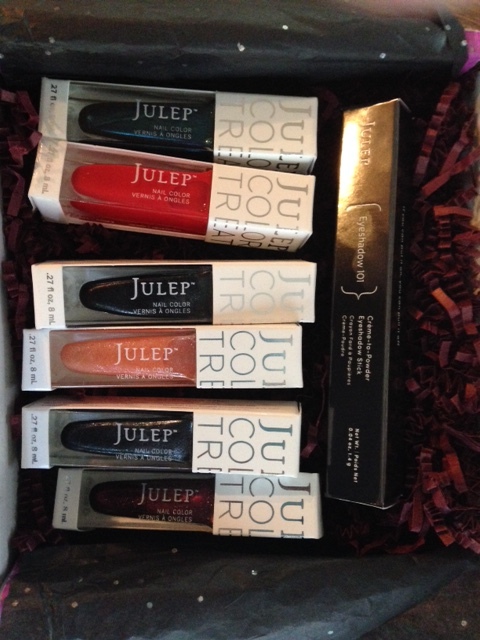 It’s an amazing nail polish and beauty subscription program. I have been a member for 2 and a half year and love it! For $24.99 a month ($19.99 a month with a 3-month subscription), you receive 3 full time products, two nail polishes and a beauty product that you can pick out. Or, you can choose curated boxes. There is a new collection each month, so there is a lot to choose from! Get your first Julep Maven box for free ($2.99 shipping), no coupon required, just visit http://www.julep.com.Ships to US and Canada. Crème-to-Powder Eyeshadow Sticks in Orchid Shimmer. It’s a really pretty wine color that stays on all day. The other end has a sponge blender that works really well. 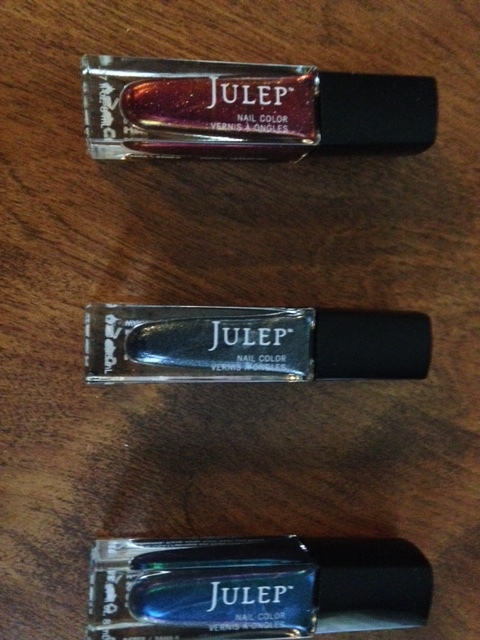 You can probably tell from my choices that I love dark, sparkly polishes for fall! I love them all, especially Paulina. 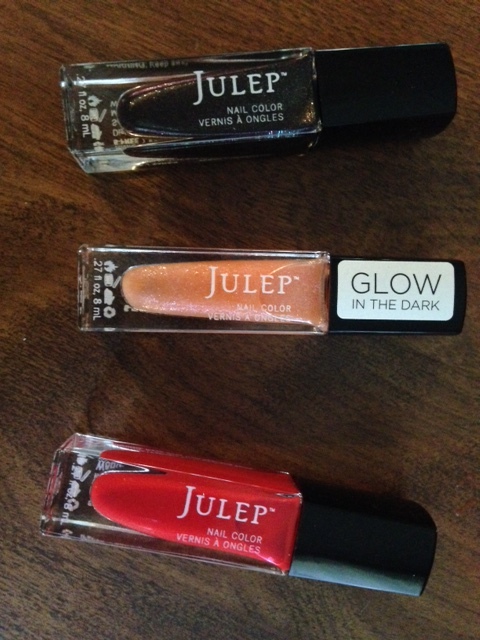 The glow in the dark top coat is for my youngest daughter, who loves it and the bright red was my free gift. Quite a hall, eh?! Leave a comment and let me know if you are a Maven and what you received this month. Next postBeauty Products For Breast Cancer Awareness Month!